It’s getting harder and harder to have a civil political discussion these days, as it usually devolves into a full-fledged name-calling argument. But it doesn’t have to be that way. Case and point is this lighthearted tale about three US towns that have actually elected or appointed a dog or a cat to fill their mayoral positions. Not only do these communities offer up some fun stories about their elections, but because of their rural locations, they also make great road trip stops. Our first politically charged story takes place in Rabbit Hash, Kentucky. Located 30 miles southwest of Cincinnati on the east bank of the Ohio River, this rural burg is a bit tricky to find. Turn off the GPS, take interstate 71 south to Highway 388, and follow the signs. Soon you’ll be tooling along the main drag of this sleepy little Kentucky village. Originally christened Carleton, Rabbit Hash was later renamed due to the postal confusion with nearby Carrollton. 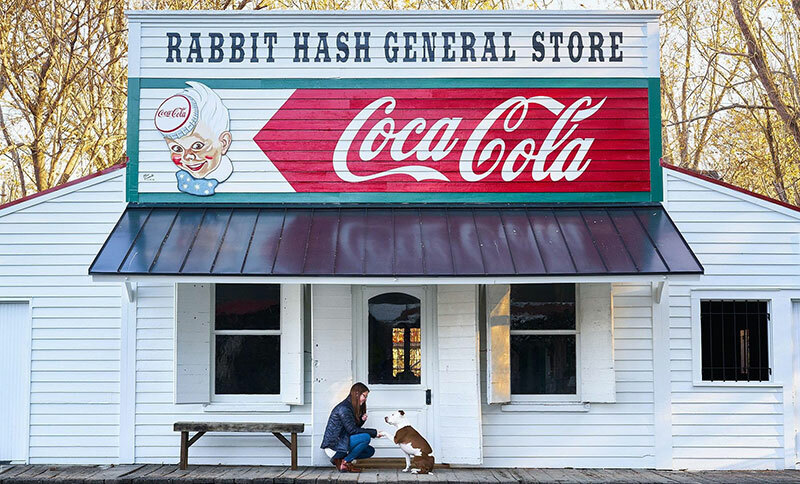 And although several stories circulate about the origin of the new name, they all center around an abundant rabbit population after a massive flood, and the subsequent popularity of a new culinary delight — rabbit hash. The Rabbit Hash Historical Society has been holding animal elections since 1998, when a mutt named Goofy took the first mayoral race. Votes cost $1 a piece, drinking is encouraged at the polls, and the proceeds go to repair and maintain the historic town buildings. In 2016 a pit bull named Brynneth Pawltro (Brynn for short) garnered a record 3,367 votes and beat out a slate of eight other candidates, including a cat, a chicken and a jackass (of the four-legged variety), to become the new Rabbit Hash mayor. In the end, $8,965 was raised to help repair the Rabbit Hash General Store, which was severely damaged in a February 2016 fire. As far as attractions in Rabbit Hash, well the town is pretty much the main attraction. Just pull over an park in a level spot and stroll up and down the road to take it all in; and if you’re lucky you might even see the mayor run down the middle of the street. It also makes a beautiful fall foliage drive; but try to avoid the town on summer weekends, as events seem to draw large crowds at that time. Even if you opt not to linger in Rabbit Hash, the windshield views along the way definitely make it a worthwhile drive. 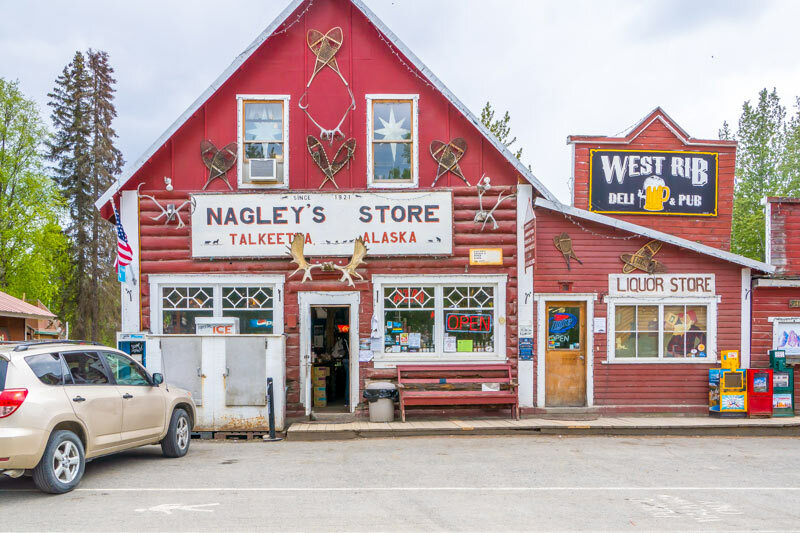 Our next furry mayor tale takes us up to Alaska, to the tiny hamlet of Talkeetna. Located near the base of Mt. Denali this historic town has a population of just 876 people. At one time it was also home to a passel of hopeful miners, but today it’s frequented by bush pilots and climbers. Although one story touts that Mayor Stubbs — a feline with a stubby tail — was voted into office as a write-in candidate; in reality the town had no mayoral election and the feline was instead appointed honorary mayor in 1997. Today Stubbs at the ripe old age of 20, is unofficially retired and spends most of his day napping. That said, you can usually find his heir apparent — Denali, a young grey Persian— roaming the streets near Nagley’s General Store. Even if you don’t get a glimpse of the new mayor, Talkeetna is most definitely worth a visit. Established in 1916, the town was the regional construction headquarters for the Alaska Railroad, and was later inundated by a hearty contingent of gold miners when the railroad was completed. Today the three-block historic district is listed on the National Register of Historic Places. Accessible street parking is available on East Main Street and Talkeetna, across from Nagley’s, and accessible restrooms are located in the adjacent park. Although there are steps up to some buildings in town, there are still many businesses with level access. And to be honest, you can get the flavor of this rural berg by just walking or rolling along the main drag. Truly there’s always something interesting to see there. Our final foray into four-legged politicians brings us down to bucolic Sunol, California; a rural agricultural community located 45 miles southeast of San Francisco. In 1981 Bosco Ramos, a black Labrador retriever, beat out two human competitors for the office of honorary mayor. What’s even worse is that his nomination all started as a joke. Imagine how the losers felt when they lost to a dog — a real dog! That said, Bosco was widely loved and held the position until his death in 1994. He’s still remembered fondly, and the locals always point out that he was never opposed to taking graft in the form of beef jerky and dog biscuits. 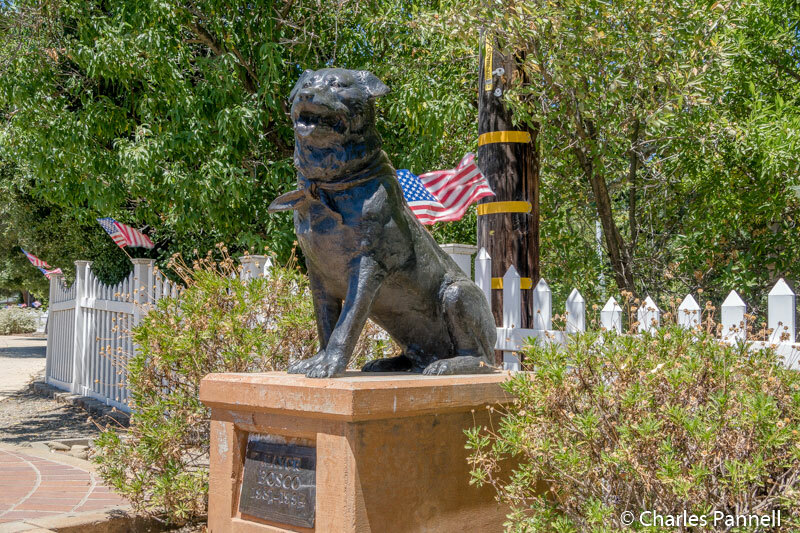 And even though Bosco has gone over the rainbow bridge, it’s still worth a visit to Sunol, as his legacy lives on. A life-sized statue of the former mayor is located in front of the post office on Main Street. Across the street at Bosco’s Bones and Brew, there’s an equally intriguing tribute to the one-time mayor in the form of a taxidermy likeness behind the bar. And it’s not just any stuffed dog; in fact this rendition of Bosco doubles as a beer tap. Sit down and order up a cold one, and the barkeep will pull on Bosco’s hind leg to dispense your beer. There couldn’t be a more tasteful political tribute. Access is good in the bar and restaurant too, with a level entry, plenty of room to wheel around, and accessible restrooms. And although parking is limited in town, there is an accessible parking space in front of the Casa Bella Event Center, next door to Bosco’s Bones and Brew. So stop by, have a bite to eat and raise a glass or two to the former mayor.